In machining, line boring is the process of enlarging a hole that has already been cast by a single-cut tool. Line boring is used to make the diameter of a hole larger, a process that involves many techniques. There are a few different uses for line boring, and here we explain how it could benefit your industry. Generally speaking, there are three main reasons for line boring. If an engine overheats or loses oil pressure, the bearings on its crankshaft may spin and seize. This damage must then be repaired to restore the efficiency of the engine, which can be done by grinding or milling the mounting surface of the main caps. The bolts are then put back on the block, and the holes are re-cut to fit in their original dimensions. 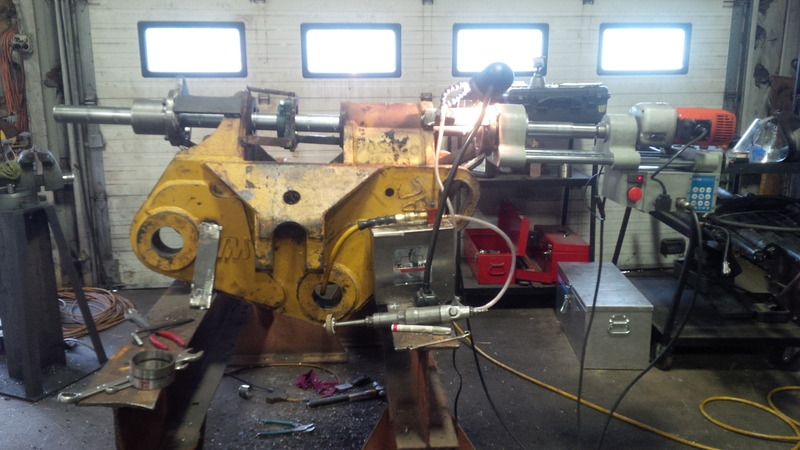 This process is also known as align boring. It's used in the event that the original casting has been distorted. Even though the engine may seem incredibly rigid, there is most likely an incredible amount of stress that needs modification, thereby preventing engine breakdown and even bigger problems. Not only will this method stabilize the engine block, it will reduce the amount of overheating and stress on the machine as a whole. In an efficient machine, the camshaft and the crankshaft should ideally be parallel within the block. If they have moved for any reason, line boring can restore their proper alignment. Plus, there may be a need to modify or change the center line of the crankshaft and/or camshaft in order to alter the piston. Interested in line boring for your project? Contact Long Island Heavy Equipment Parts Inc., the leader in line boring services long island workers have come to trust.